Devon Terrell is a name you might not recognize, but here's one you probably do: Barack Obama. Terrell, a 23-year old actor from Australia, is playing a young Obama in Vikram Gandhi's Netflix film Barry, following 21-year old Barack arriving in New York in 1981 to attend Columbia University. 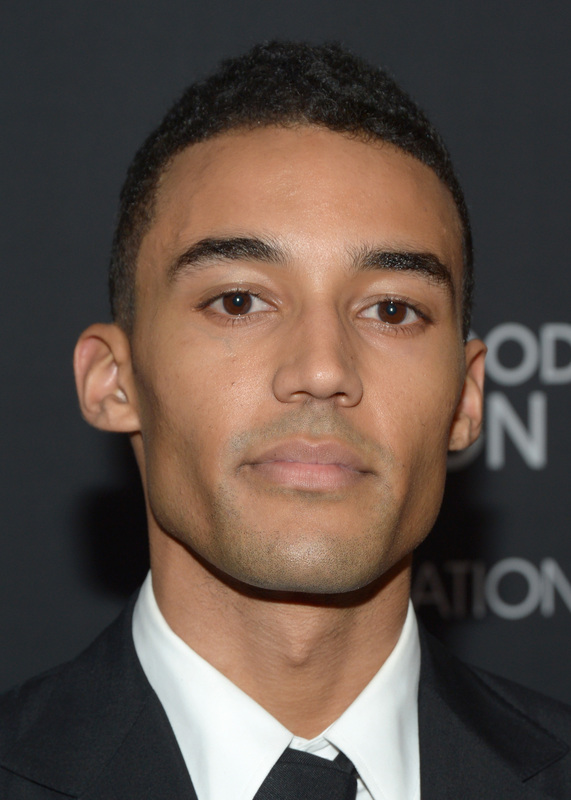 So, who is Devon Terrell besides a very handsome Obama look-alike? He's actually the newest kind of newcomer. Terrell doesn't even have a Wikipedia page! Barry is Terrell's big debut. Playing a young leader of the free world before he was president is not a bad gig to come into the business with. Before that, the only acting credit he had was Codes Of Conduct, an HBO series directed by Steve McQueen that was cut after shooting the pilot. In an interview with GQ about preparing for the role of a young Barry, the 23-year-old said it was literally a dream come true: "When I was 19, my cousin asked me, 'What's your dream role?' and I said, 'Barack Obama.'" "As for me, I was born in the States and grew up in Australia, and I'm mixed-race. I've had that same experience of, like, where do I sit? He speaks to so many people like me all over the world. It doesn't matter where you are or where you were born, you have a reason to be here and you belong somewhere." Terrell hasn't yet divulged too many details about his personal life. I mean, his Instagram account is still private, a very tell-tale sign. But after Barry premieres on Dec. 16, that just might change. He is, for a fact, a very committed and tenacious dude: For the film, he learned how to do everything left-handed, including playing basketball, working dutifully with a voice coach to get that Barack inflection, and even drinking potassium to make himself "lankier," as director Gandhi told the LA Times. So far, as Terrell told GQ he doesn't have anything specific lined up after Barry, but he'll be going to Los Angeles to see what happens. And, if you've played the President as your very first role, chances are, there's going to be a lot more to come.